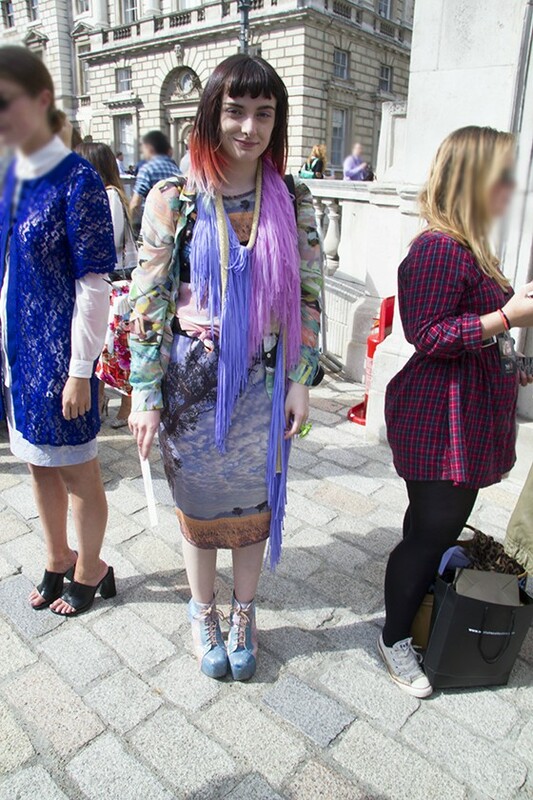 So I went over to LFW, I didn't have any invites to the shows, but I just wanted to take some snaps of dressy people. 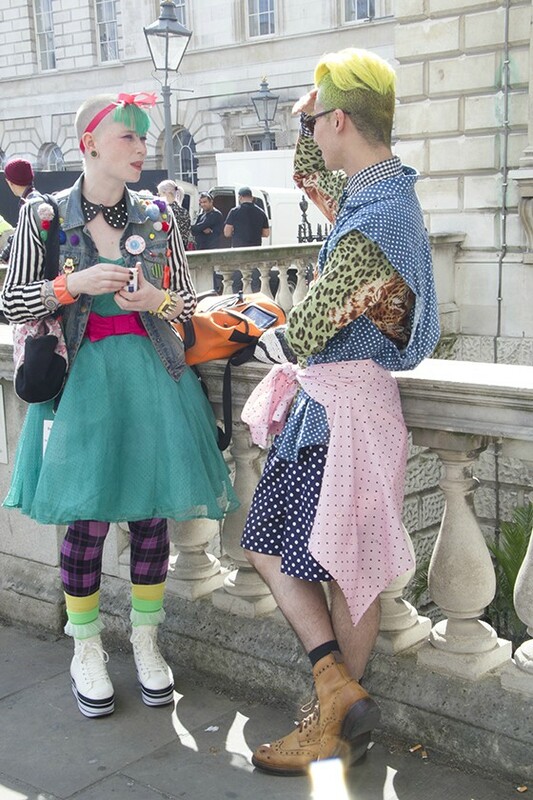 LFW rule "The more weirder you are dressed, the better". Seen this quote on my twitter timeline. The photos aren't amazing, as stupid me didn't wear glasses, so I found it difficult to notice if my camera was in focus. Overall I'm happy with snaps I took, I didn't stay there for too long. 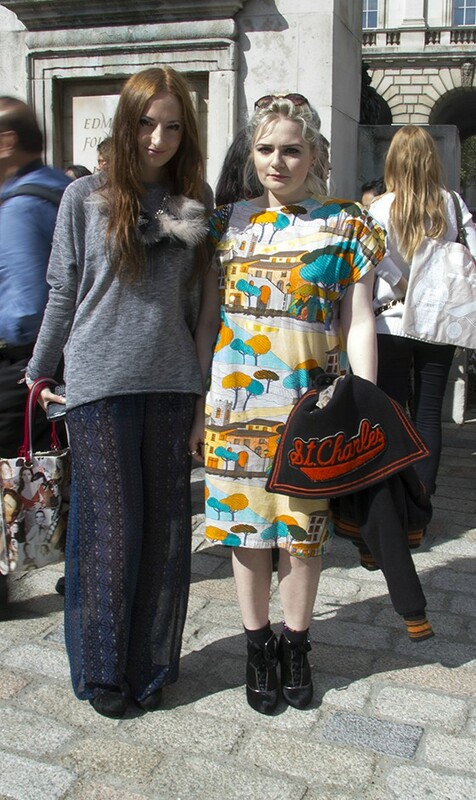 So sad that the LFW is over! Some people didn't wanted to be photographed, that's why I decided that I will blur out the faces in the background. 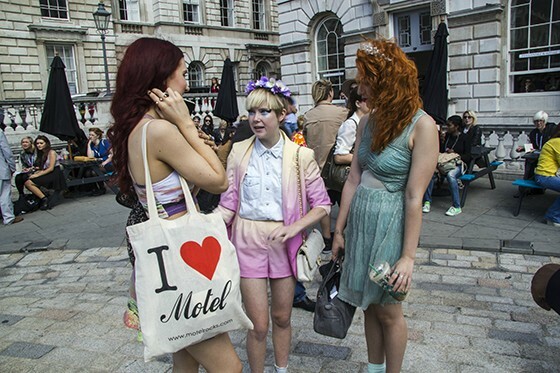 I adore how everyone goes all out for fashion week! Great snaps! Some of these looks are a bit too crazy for my liking, but I really like the last one! Love theses photos, people have such great style! OMG I'm so jelous of you seeing all this fabness!